This is primary a cookbook with a short introduction about each period from the neolithic to the middel ages. The recipes are organized by season rather than by time period, which I find is an interesting choice. Each recipe does have a symbol to show which time period it is appropriate for. The recipes are adapted both for a modern kitchen and for a fire pit kitchen. The fact that all recipes are there in a version that works on an open flame is really nice, since most historical cookbooks only have the instructions for a modern kitchen. I can see using this as a handbook for use at reenactment events. The recipes are short with relatively few ingredients so they should be easy enough to use. Quite a few of them seem interesting enough to try. They are all based on either recipes from the period or reconstructed based on archaeological findings of cooking vessel and ingredients. I have not tried any of the recipes yet, but they seem easy enough to follow. It is a bit light on extra information about the dishes – it is pretty much just the recipes. 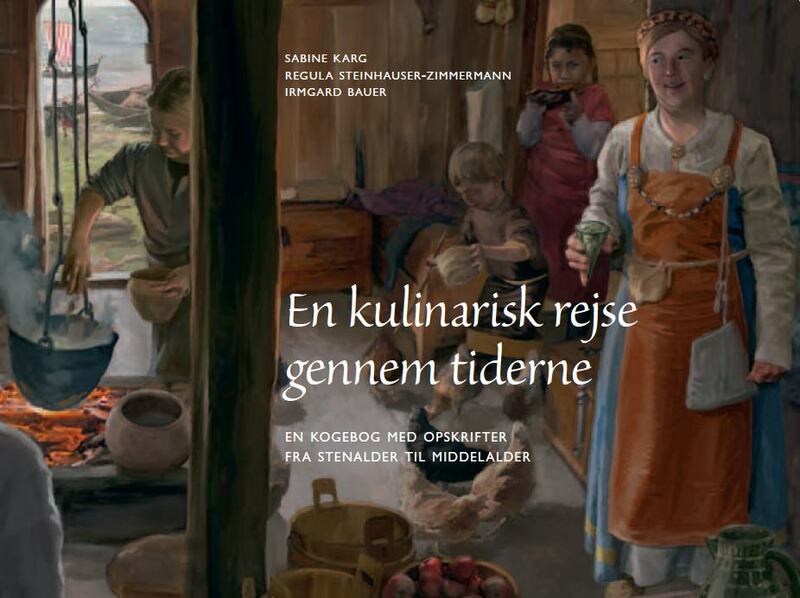 It is originally a German book so the recipes are based on central European finds, but it looks quite useful in a Danish setting as well. It is available in Danish, German, French and English.